Sadly, whatever it is that struggler is dealing with, even if he should accept the invitation, his struggle won’t likely be addressed on the men’s retreat. A person who is a handful; he/she is a piece of work, and/or a colorful character. Every church has a few folks best described as such. Truthfully, not a one of us escapes that label, for each of us is probably a hot mess at some point or other in life. I’m sure many of us have had that same experience as Michael, where we feel as if we’re messing up church by our very presence. Our being there on Sunday is a downer for everyone else because we’re the ones chained to a 10-ton weight we can’t escape. And no one else wants to deal with our load. This makes for the worst alienation imaginable. Because if the Church doesn’t care, who will? I think we live in an age where people are burned out of dealing with others who face difficult situations. I also think we’re seeing a multiplication of problems. It’s not enough that someone is facing cancer, but the cost of the treatments is also creating a possible home foreclosure AND the patient is caring for decrepit, elderly parents who live with her. 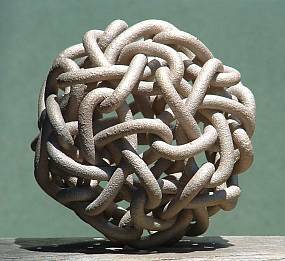 Life, once simpler, now resembles the Gordian Knot. And everyone has his or her own Gordian Knot, small or massive, to untie. Still, the question remains: If the Church doesn’t care, who will? In the opening Scripture above, Jesus spoke of why He came. That purpose never left Him. 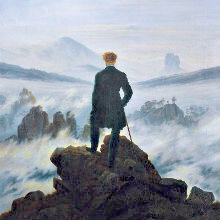 Nor has He abandoned it now that He has ascended to glory. The problems He addressed remain, but it is the Church that must now take on Jesus’ task. We proclaim. We heal. We liberate. We are there when no one else is. I know everyone is busy. Perhaps busyness is the root problem. Nonetheless, we can’t leave the hot mess to stew. If we aren’t doing those liberating works in the lives of broken, hurting people that Jesus addressed in His reading from Isaiah, then we’ve forgotten what it means to be the Church. We need each other, folks. Now more than ever. None of us escapes being a hot mess at some point in life. None of us wants to be the downer at the party. But this side of heaven, the Church isn’t tasked with being a 24/7/365 party. It’s meant to be a respite, a source of healing, and a place and people that help others encounter God and help get their needs met. Have we forgotten what we’re about? No question we need each other. But we also don’t need meddlers into other peoples’ business. Some do that. Maybe thinking they are being friendly. I feel for your reader, but it is also important for him to see there are no perfect people without struggles. Community is give and take. The sounds of two hands clapping from over in Minnesota. Great post. Several years ago, my wife and I left a church after I’d been involved in it for 13 years. We started attending a different church that happened to have a lot of VIPs from a large company in the area. We did not know this at the time we started attending. We had just heard that this was a good church, and it was closer to where we lived. Anyway, the folks at this new church tended to be pushing into that 1% territory. Meanwhile, both my wife and I were looking for work after a series of corporate downsizings. I got involved in a men’s small group, and I thought we might have a future at the church. One day, I was talking to a group of about eight men, two of which were in that small group. One of the other men asked my wife and I what we did for a living. I told him we were both currently looking for work. It was as if we said we had Ebola. The conversation stopped, and these guys all drifted off. Later, in my small group, the guys stopped talking with me. And when I tried to jump into a conversation with my thoughts on a subject, they would switch the subject. In short, my wife and became pariahs at this church and were practically shunned. I’ve never experienced anything like that in my life. Any thought that anyone there might actually befriend us went out the window. I knew two couples at the church who were nice to us, but everyone else held us at arm’s length after our confession, as if the downsizings that had affected us would rub off on them. The worst part of that? We had experienced something identical at another church a half dozen years before that one. what is wrong with people is that they are ungodly and sinful, not to mention that they are completely ignorant of knowing God. It seems that this is the only explanation for such crude, unchristian and wicked behavior. Anyone who has the indwelling Spirit of God, and who walks acceptably with God would not do to you, nor would they do to any other person, what you have described here in your comment. In fact, disciplinary action should have been taken against these people (you speak of)by the church leadership. The problem is that many times the church ‘leadership’ is these kinds of people. Because they have a worldly position in society they are therefore thought by believers to have the same standing with God. Far from it. Mark – the house church movement will eventually encounter the same problems as the early church. May I suggest, if you have not read it already, the work of J.G. Davies, “The Early Christian Church”. Michael, should they therefore not get scriptural? Should they sail ever further from plumb? Did God make an unfeasible pattern? Did He not supply enabling grace to build His Body? As Beresford says in the book, it is not a case of “house church” or “institutional church,” it is a case of BIBLICAL (1 Corinthians 11-14-honoring) or UNBIBLICAL church. Listen to Teryl’s 10 minute testimony in the playlist link above. At one time I was shocked. I no longer am. I have lost the capacity to be surprised by how clueless people can be or how spiteful. Maybe that’s good; maybe that’s bad. But you don’t live half a century and not accumulate some perspective. Sad thing is, it’s the older people who should know better who often create the most problems for others. We do see the early church being a help to people as a group. For example, the Grecian widows who needed daily food, etc. We see Jesus directing that money be distributed to the poor from the purse that Judas held in his possession. We see God providing for the poor during harvest time in OT statutes and rules for land owners in the nation of Israel. We see the voluntary giving of alms to the poor in OT examples provided in the scriptures. However, the primary purpose of religion in Israel in the OT was to worship God acceptably and to provide service (God’s instructions to Moses) for people to atone for their sins of ignorance. Statutes and rules were set up in the nation of Israel (as given to Moses) to deal with the purposeful sins of the people. What seems clear is that the purpose of the OT religious system was to deal with sin, and to provide opportunity for people to sacrifice to God on the altar at the temple. We see little instruction from the apostles in the NT to provide for the needs of the poor, or to relieve the burden of the struggling. We do so out of our love and our will and not out of religious obligation or commandment. There is nothing in the ten commandments that addresses the meeting of the needs of the struggling. What is in the ten commandments is the addressing of sin and the commandment to love and worship God only in our lives. If the church addresses these in the context of the NT teachings, we might find that some of the other needs of struggling believers are met as a consequence. My perspective, of course, is coming from someone who is an elderly person. This is the time and opportunity for old people to step up to the plate. Sadly, the churches where I live are so enthralled with the under 40 crowd, that they don’t offer any type of organization structure to bridge the generational gap and introduce older people to younger and middle aged people. The attitude of church leadership seems to be, ” Go to your Sunday School class/small group, old people, and be happy and leave us alone to run the church our way. When I was younger it was the elderly Christians that listened to me, counseled and prayed for me and handled my “hot mess.”. Now I am ready to take my place and help younger people but the churches will not make this easy for us. Anyway, that is what I have been dealing with for the past few years, but I still join small groups made up of all ages, not just elderly people, so I can meet Christians in all age groups. Wow! I was quoted. How unexpected. I’m honored. I really appreciate your blog. There is so much I can relate to which strikes at raw emotions. Church is a very busy place with very little room to contemplate or minister to one another – too loud (our church offers a prayer time after the service which is often drown out by the band’s closing song and the flashing “Please put away the chairs” sign. At my church, if you are not taking a class, you can meet with one another between services, but a “hot mess”‘s problems can’t be solved so quickly. This has happened at times in my life only to be overshadowed by the needs of my family. All said I recognize, that like you, I could advocate for myself by gathering with men, by being more intentional. Contemporary services are so upbeat and traditional services so managed that neither seems to be responsive to the Spirit or people. I’ve been to Catholic services which are much more contemplative allowing for some reflection after the homily and a silent time of confession of sin. I attended on service at which I was one of the few who got up from the pew and left while everyone else stayed behind to pray. Perhaps that was the time that the Spirit ministered to them or they to one another? Authenticity is a buzzword in Christian circles today, but I think it is an authentic one. (Ha!) I am convinced that what people really want is a deep, authentic experience of God that possesses genuine, rather than manufactured, intimacy. They desire to feel rooted to something that lasts and has permanency in an impermanent world. They want richness over slickness. And I do not believe people are getting any of this. Problem is, some don’t know what it is they are missing, and they settle for the lesser because they don’t know what else is possible. My experience is informed by coming from an imploded church where we worshipped God intimately for 10 years. The worship I experience these days could be best described as “polite”. “Polite” and worship, to my simple mind, go together like oil and water – it floats on the surface but never really mixes. Dan, because the local Body is structured according to the pattern of man, rather than God (note Hebrews 8:5; and 1 Corinthians 11-14), disciples are not really “one-anothering” as Messiah would have it; brief plesantries at the entrance to a Constantinian Temple (i.e a “church building”) simply do not make the grade. How does this book differ from Pagan Christianity by Viola and Barna? It seems to cover the same material. Dan, thankyou for asking; good question. 1) Beresford places passages of Scripture, and writings of the early elders, side by side; whereas in the Viola book (chapter 5) it is just a brief mention of Ignatius; nothing much. 3) In a nutshell; Beresford drives home VERY STRONGLY the unbiblical nature of Temple format; a format that PREVENTS a scriptural one-anothering from taking place; a format that by contrast has one man leading “from the front”, thereby disenfranchising the Body; a format totally alien to 1 Corinthians 11-14. The “pastor” as we have him today is sincere; but seriously counterproductive. Try a free sample of the book. In the Playlist link; you can here Beresford speaking on the matter. Consider Beresford’s book the skunkiest slice of Home Truth Pie you’re likely to have read in years; it really is awfully skunky. The more stubborn and subjective the reader, the worse it will taste! Dan, I have the paperback version of Beresford’s book, but I just downloaded the FREE Kindle SAMPLE, to see how much one gets. Beresford seems to have permitted the first three chapters to be given away free; the sample ends as he is about to put a devastating piece of Home Truth Pie before readers, in chapter 4.